Ok, real talk: I’m a tattoo virgin. My pasty skin, never touched by ink’s sweet embrace, knows not of the pain, the pride and the dedication of tattoos. But it, like, totally wants one and would def get one …maybe, someday. 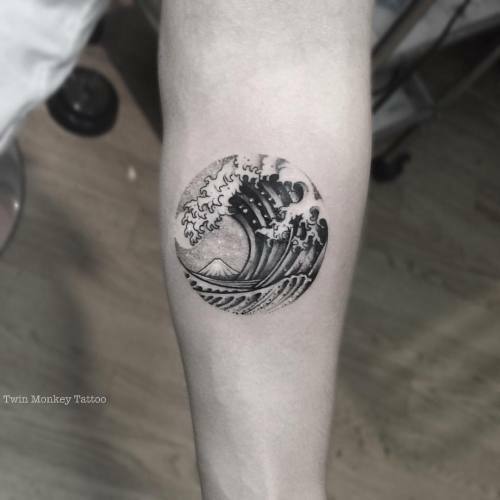 If, like me, you’re in love with the idea of tattoos, but may be a little hesitant to ink up, check out these cute ten tats and use them as some inspiration and a stepping stone to that mad sleeve you always wanted. Like a penny sized picture on an arm or an ankle, these little tats are intricate and tindy. Check out the work of evakrbdk for tiny inspiration. Nothing brightens up a day quite like receiving flowers, and this way you could have flowers everyday! There’s something incredibly special about the tiny, vintage flower creations made by dearemilyann which look beautiful and timeless. 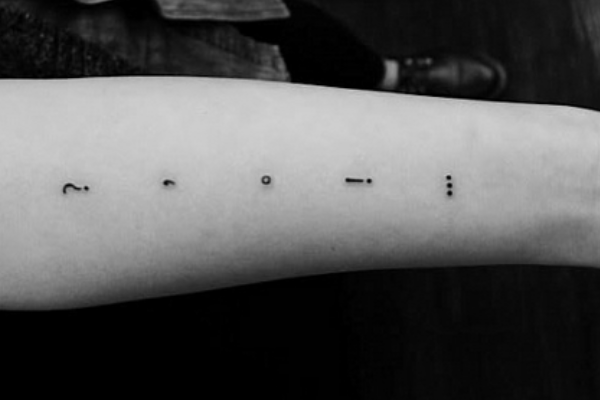 Worried that mucking up your skin with ink will mess with your chic, no-fuss aesthetic? Then you mustn’t have seen how amazing an extra line or so can look. 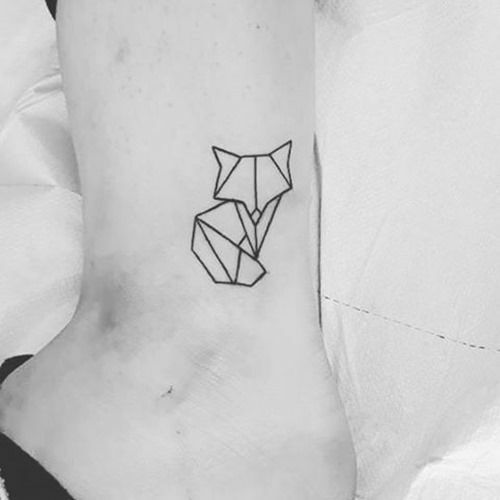 Make a statement without going crazy and check out the work of jonboytattoo who has all levels of cute minimalism. As a crazy cat lady, I can think of no greater use of my skin than to cover it with kitty portraits. However, I understand some people may have reservations regarding this, so maybe a tiny animal portrait is the go for you. Geometric is clean and interesting, and no one does geometric animals better than moganji. 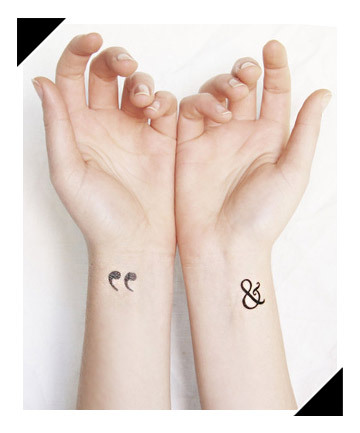 As a word nerd myself, these ones really speak to me, and there’s nothing prettier than punctuation. Pick a beautiful font and maybe one of these badboys ‘&’ and you have a gorgeous little keepsake to connect you to the written word. 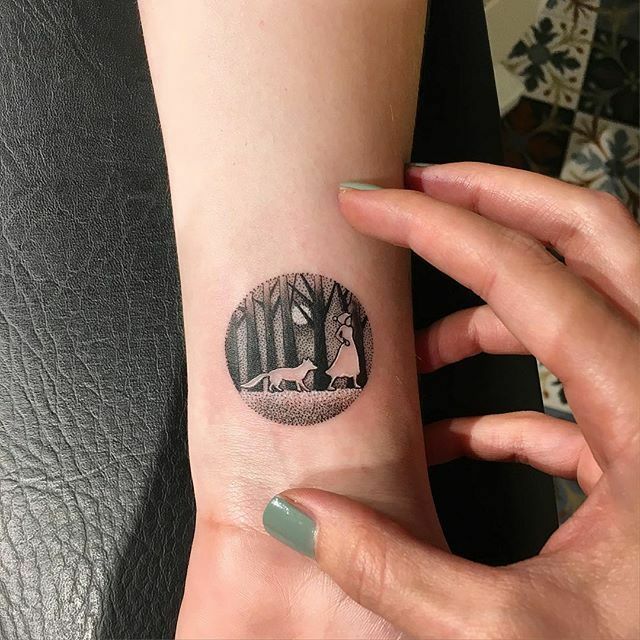 Check out the work of banul for more tiny tattoo inspiration.